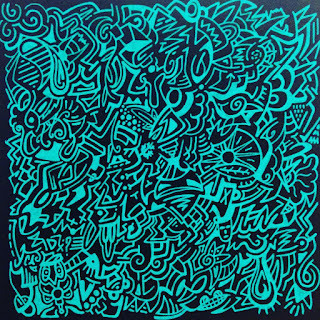 Several years ago, I wanted to experiment with acrylic paints beyond the surface of a stretched canvas. This is when I began exploring gourds and wood crafts as grounds. My wood arrow craft from my Klimt class, with reference work behind. If you are a student in my Skillshare craft workshop, you may have many questions about where to buy these items and what paints work well on these surfaces. I cover some of these questions in our Klimt or Matisse class videos, but this blog provides a great place for me to provide more details. I always buy my gourds cleaned, which means that the dirt has been scrubbed off the surface. But many folks enjoy growing and cleaning their own gourds. Here is a gourd I painted loosely in the style of Mondrian. In the US, pre-cut wood crafts are easier to find and purchase than gourds. have large portions of their stores devoted to wood crafts. These retailers also tend to have large weekly coupons on one item in the store and in some cases, online. These promotions may undercut buying a raw wood craft through amazon or some other online-only retailer. 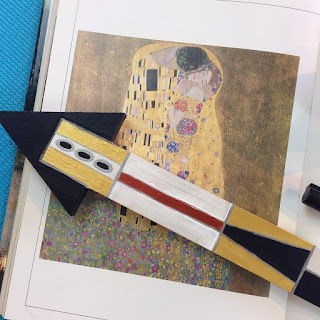 Here is a quick little video of the finished mini birdhouse I painted for the Klimt class. What type of paints do we need? To paint on wood or gourds, you should use acrylic or craft paints. What kind? Remember my rule: always purchase the highest quality paints you can afford. I know some of you may be asking yourselves, "Does the quality of the paint make as much difference as the talent of the painter?" My short answer is, "Yes, quality of materials does make a difference!" Acrylic paints I recommend: If you scroll to the bottom of this page, you will find detailed information about the types of paints that I buy. You will also find information about Uni-Posca acrylic paint markers, the only brand I use (because they rarely drip and have an excellent consistency). 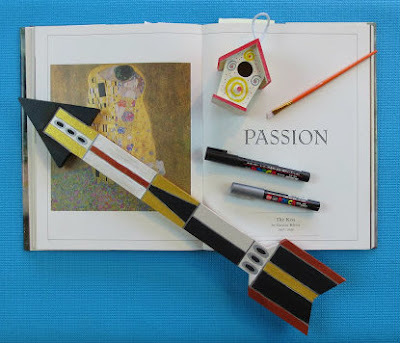 I will use these markers extensively as I make a Matisse mini birdhouse along with you in this workshop. 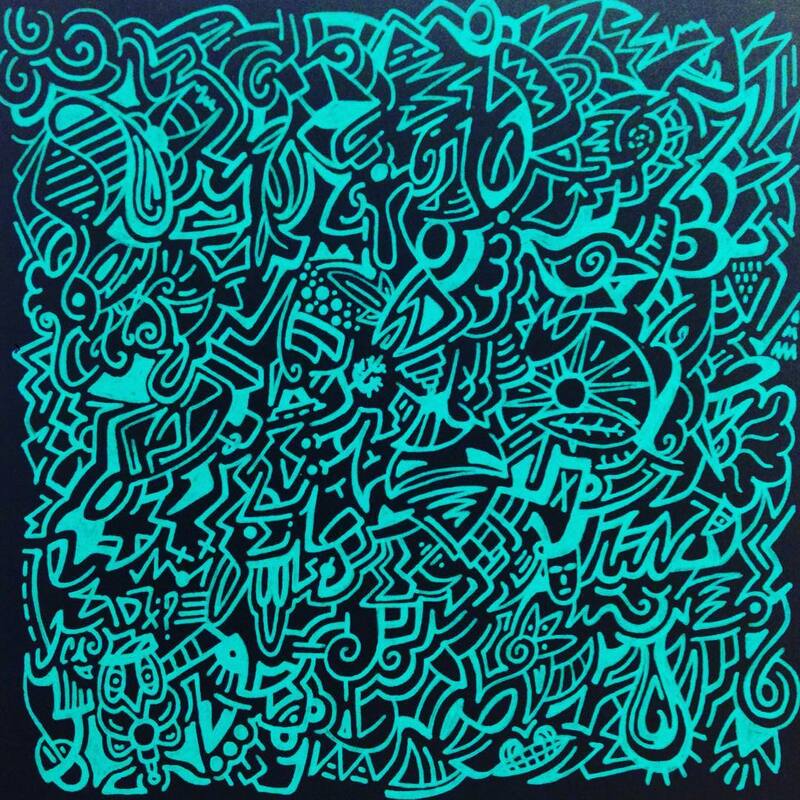 I learned about these markers from artist Ilan Leas. (Thanks, Ilan!) He is a wonderful, talented, NYC-based artist whose work has been offered as a giveaway in a former workshop of mine on Skillshare! Please let me know if you have any questions about materials or supplies for this workshop. 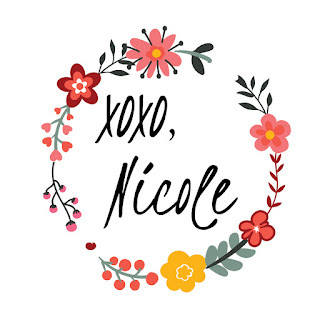 The fastest way to reach me is via email at nicole(at)nicolettaarnolfini(dot)com. 2017 is right around the corner. 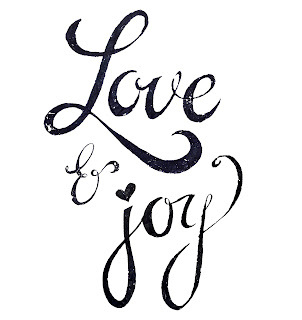 My wish for you this year is that you find LOVE and JOY in the new year. 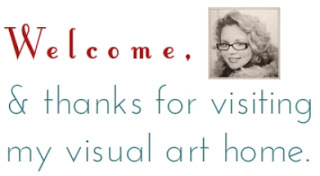 Thank you so much for being a part of this artistic community on my blog. 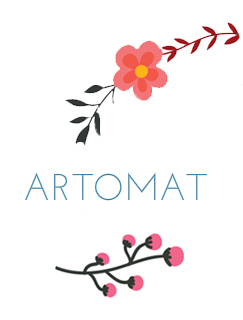 I sort of went crazy in October, November, and December with my Art-o-mat output. I finished my seventh ever batch of Mini Masterpieces for Art-o-mat by early December. This group featured bits of Paul Klee and Joan Miro'. Usually, after I finish a batch, I treat myself and my daughter (Clarice, who has also been working on her Art-o-mat production) to an Art-o-mat purchase. I snagged this Mona Wu block print at the machine at Krankie's Coffee. I was so happy because I have been hunting Mona's work for a long time. Krankie's Coffee hosts a beautiful machine whose glow brings you right in. So did all these kids, who got to go there after a WFU Football game. Krankie's is the only place I know that's cool enough to handle 5 teens who want to do the Mannequin Challenge over and over! Stay tuned and I'll report back with more Art-o-mat batch progress! 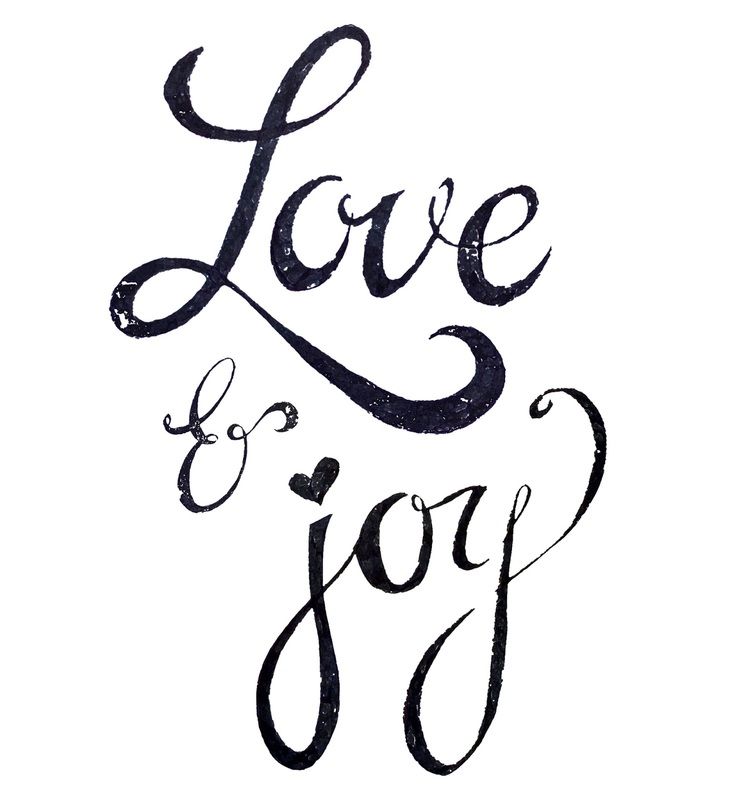 Just wanted to share some handlettering fun from my sketchbook on this beautiful Christmas day. Guess which family has been watching every version of Charles Dickens A Christmas Carol -- that's right, the Arnold family! 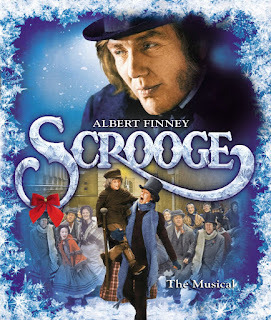 And our favorite is Scrooge starring the incomparable Albert Finney as Ebenezer Scrooge. Every lover of the English language will enjoy this 1970 film. The libretto is outstanding, and only adds to the quality of Dickens' diction. If you have never seen the film, I know you will doubt this claim. So, here's a sample below of the intro to the song "I Hate People," sung by Scrooge (Finney) early in the movie. Corrupting honest men, like me! You can watch this intro and song snippet on YouTube. Of course, every time I try to use my sketchbook, Alex also wants to sketch (in my sketchbook). Alex (5 years old) created "Get Your Merry On!" while I contemplated the third verse of "O Come, O Come, Emmanuel." Every year, I try to make wassail. Here is a great recipe from Nourished Kitchen if you also want your whole house to smell wonderful. While I make the wassail, I have the carol "Here We Come A-Wassailing" (also known as "Here We Come A-Caroling") in my mind. "Love and Joy come to you." And that is my wish you for you not just today, but for all of 2017! 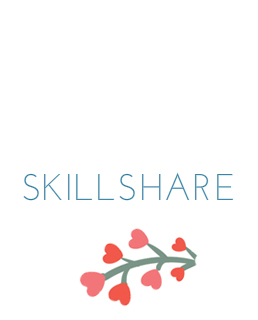 Today, I want to share with you the last of three prizes for my Skillshare workshop starting on Wednesday, December 28. I will publish the winners on Thursday, Jan. 12, 2017. 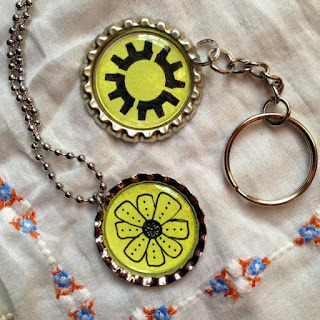 I handpaint these little guys into bottlecap necklaces or keychains. You can see more from my series of Art-o-mat crafts here or here. 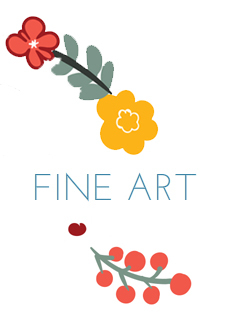 To be eligible for this prize, you must sign up for either or both of my Matisse or my Klimt class on Skillshare. Then, you need to sign up for the joint-class workshop. Finally, you must complete a project post your progress in your class's project space. 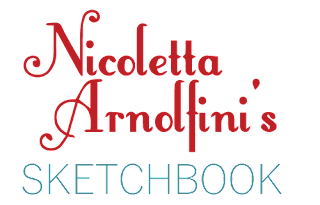 Today, I want to share with you the second of three prizes for my Skillshare workshop starting on Wednesday, December 28. I will publish the winners on Thursday, Jan. 12, 2017. Tomorrow, Christmas Day, I will announce the last giveaway for those who complete the workshop. 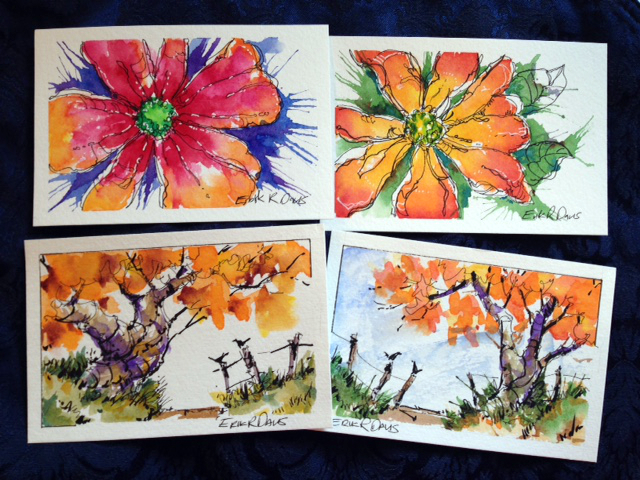 These four originals are painted on cold-pressed watercolor Strathmore cardstock and are suitable for framing (or mailing)! To see more of Erik's work, check out his website, his Instagram account, or his Facebook page. You can read more about this working artist in a previous post. I can't wait to create with you in this workshop. Stay tuned for one more giveaway coming your way. I'm really excited to announce the first of three prizes for my Skillshare workshop starting on Wednesday, December 28. I will publish the winners on Thursday, Jan. 12, 2017. Today, tomorrow, and yes, Christmas Day, I will announce a new giveaway for those who complete the workshop. To see this work at much closer range, please on the photo above. You can read some of the text on Dennis' website. Dennis' print is a 8" x 10", limited edition print, signed and numbered. Dennis' original pen and ink work will arrive printed on high quality cardstock and is suitable for framing. 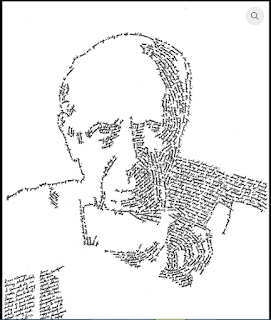 Here is one small example of a quote that Dennis used in making the portrait of Picasso: "He can who thinks he can. And he can't who thinks he can't." Stay tuned for more giveaways coming your way. I'm very thankful for all those in this artistic community: my circle of artist friends and art lovers, and my readers far and near. 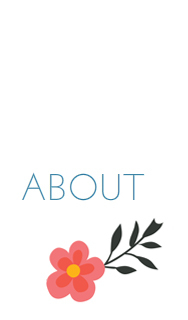 I am sending out my November newsletter to subscribers very late this month. 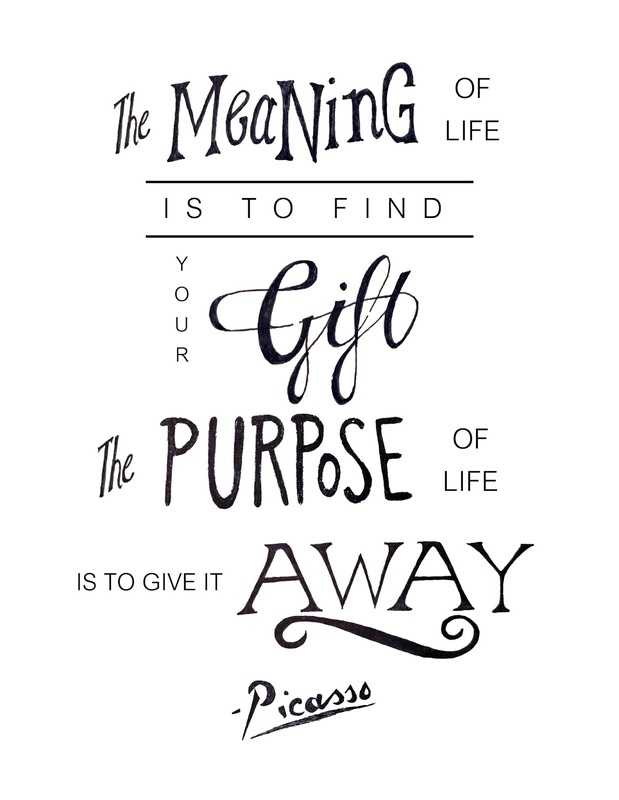 Subscribers will receive a link to a printable of the above quote by Picasso. 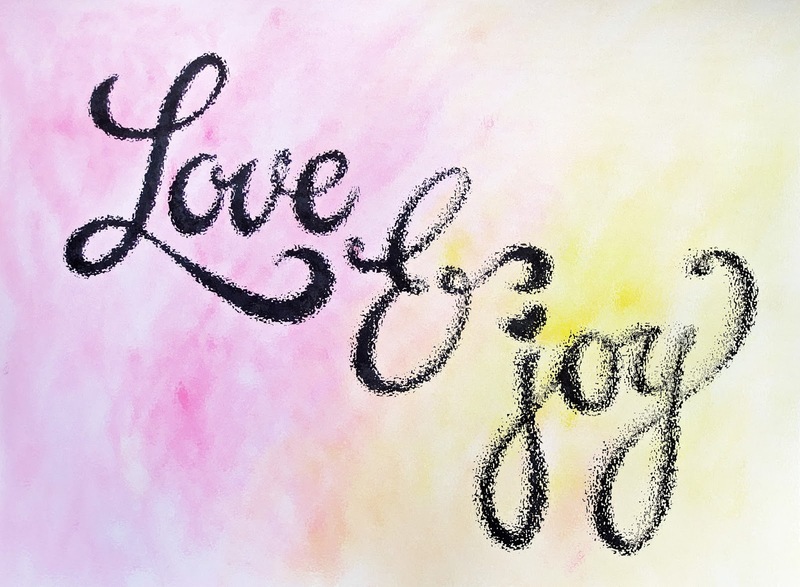 In the short film below, you can see my original hand-lettered sketches before I digitized them. Very early Tuesday morning, I delivered 200 Endearing Young Charms to worldwide Art-o-mat headquarters, USA. This delivery included one batch of 50 keychains and 3 batches (of 50 each) of bottlecap necklaces. I've never done 4 batches at one time. This is my 13th Art-o-mat batch ever. 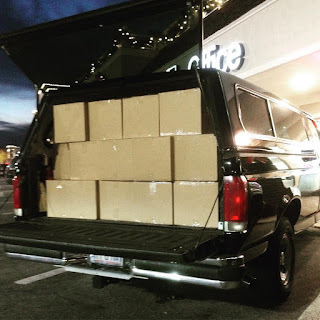 Clark loaded up his truck the next day to take a huge delivery to the Cosmo in Las Vegas. I have been staying up late at night, packing more handmade items that I painted on the weekends. Alex has helped me keep the creative juices flowing. A couple necklaces went to some special people. Clarice and I will work a local craft fair next weekend, so I've been making more keychains and necklaces to sell. Then we'll get another Art-o-mat batch or two together for December delivery. Here is Peyton's necklace that he won on my Instagram challenge. Congrats, Peyton! 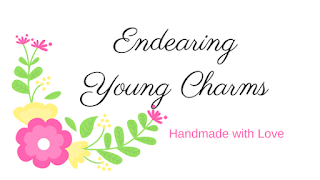 Our whole family has started making scented candles. Our house smells wonderful! Clarice and I will take some of these to the craft fair. Hope you have a magical, relaxing weekend, full of creative endeavors!